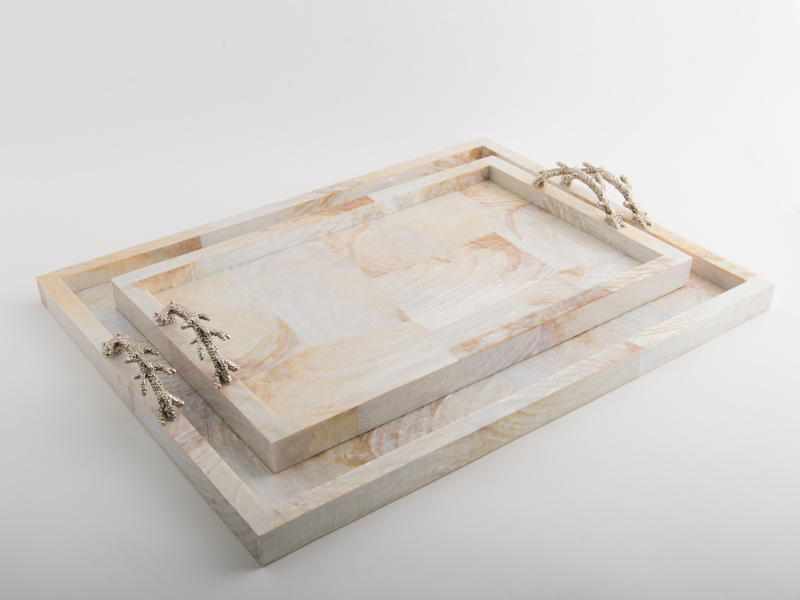 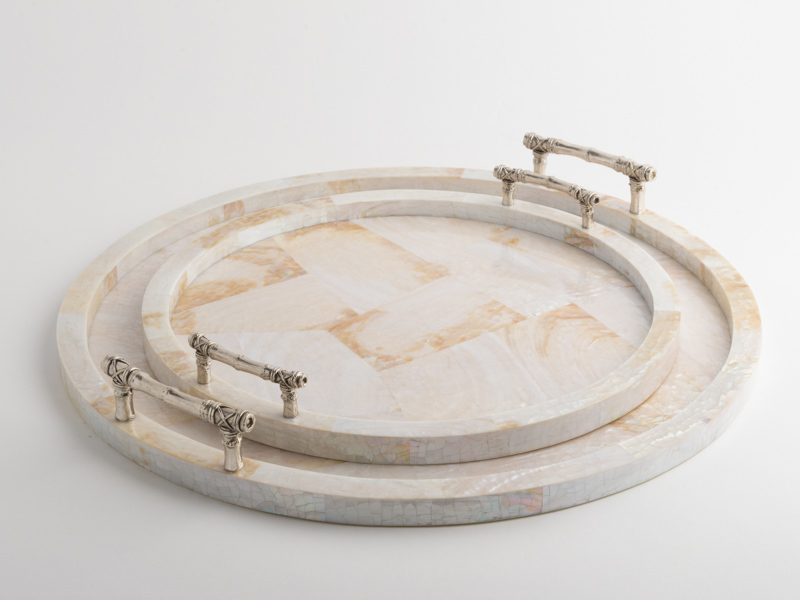 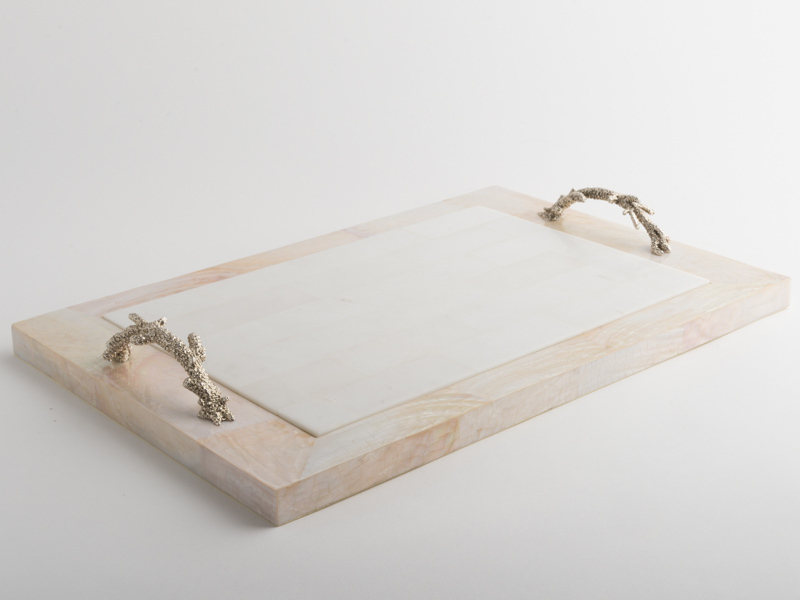 Atlantis cream tray with handmade silver plated coral handles. 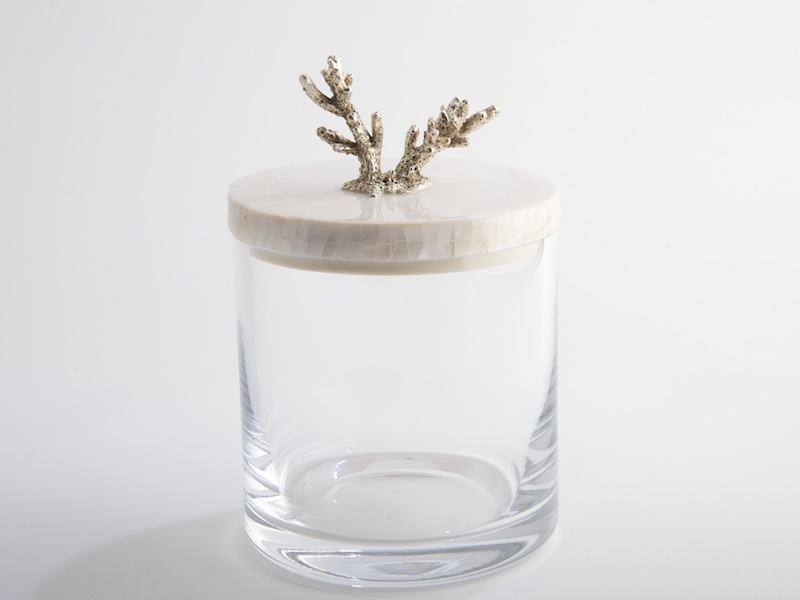 The coral provides an elegant yet robust handle and compliments perfectly the cream Kabibi shell tray. 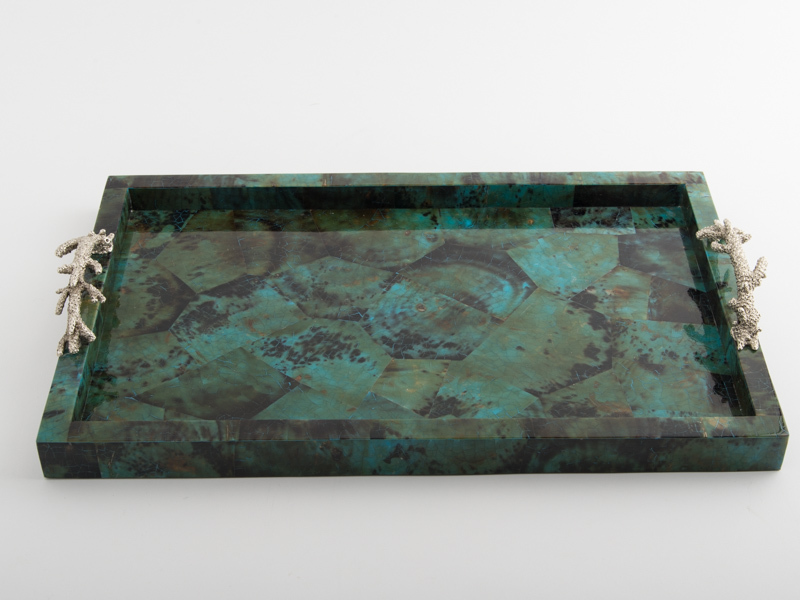 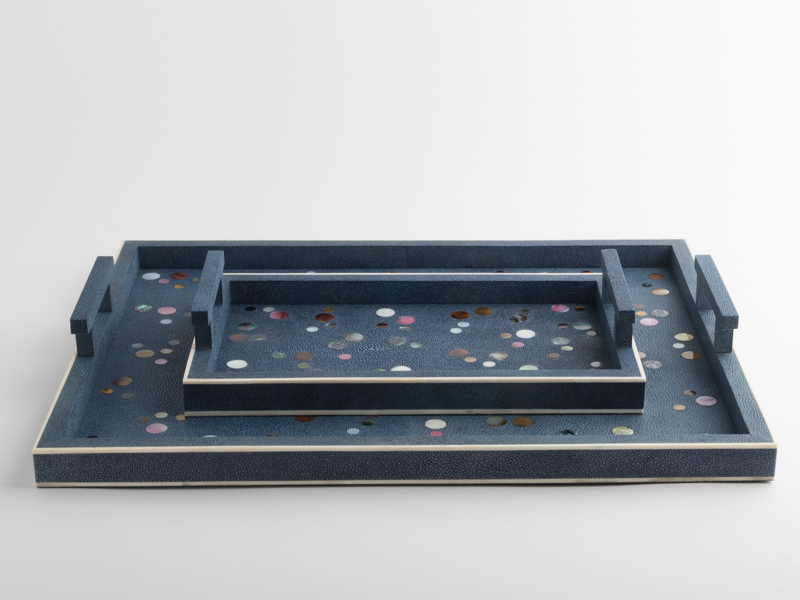 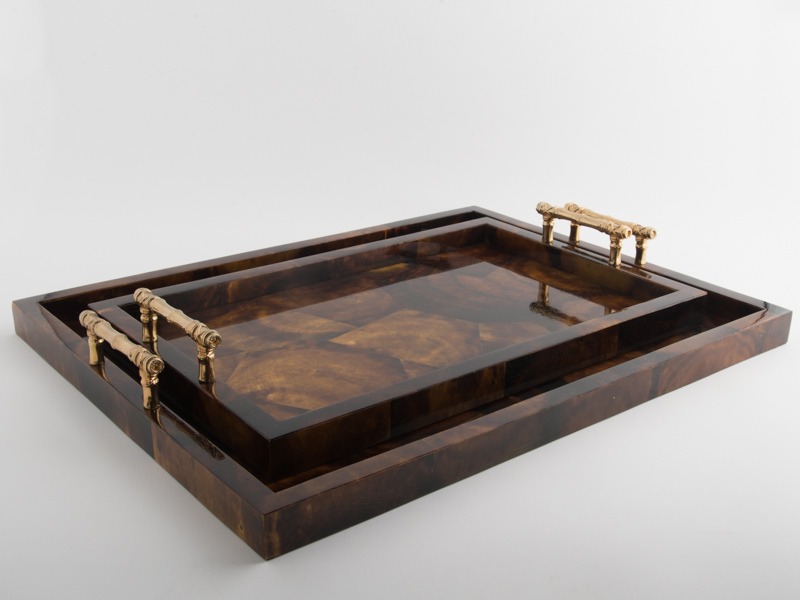 The tray is hand made using small pieces of cracked Kabibi shell formed into a beautiful mosaic and the coral embellishments are made from silver plated brass.